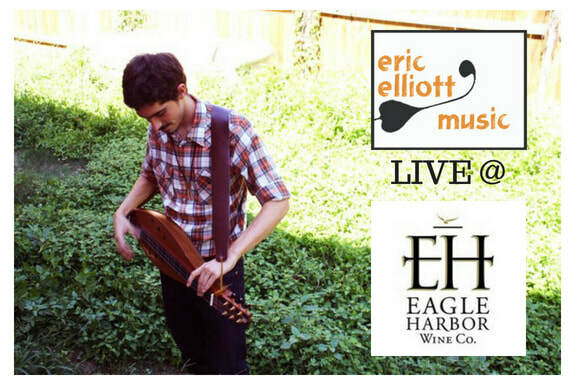 Eric Returns to Eagle Harbor! Saturday, July 21st--music from 2pm to 5:30! And the best part? It's at a beautiful winery on Bainbridge Island! Hope to see you there! Can't wait to share some new songs with you soon! New Show New Show! Sat. 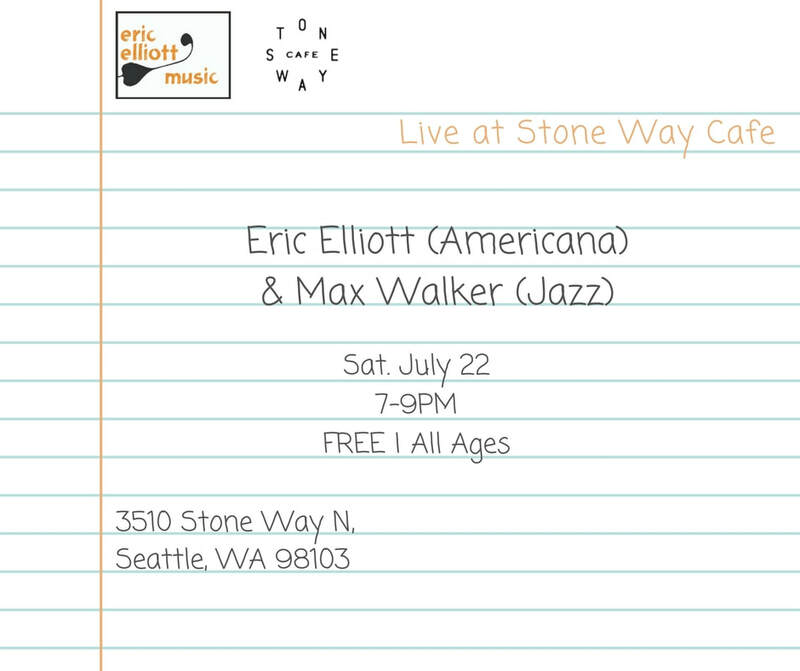 July 22 @ Stone Way Cafe 7pm! 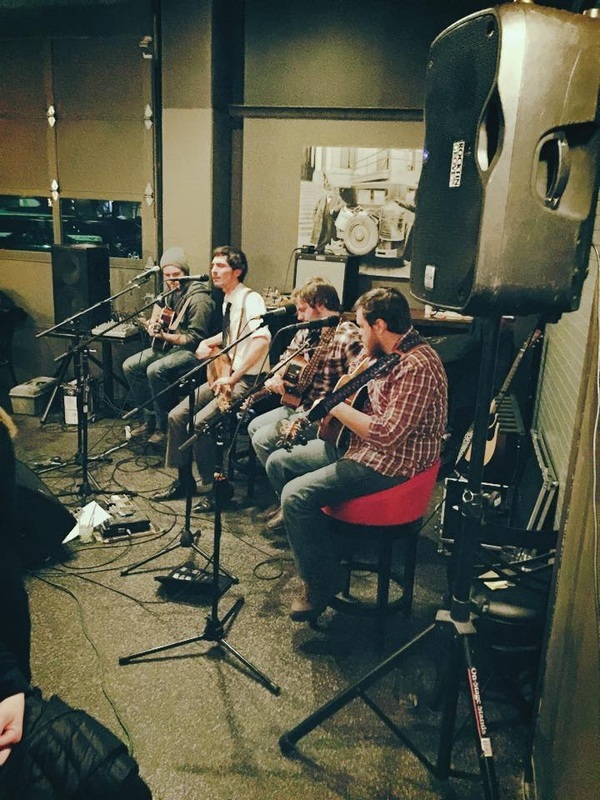 June 24 @ Eagle Harbor Wine Co.
Scott was in town and we got together to play some tunes together! There was a live recording--more to follow! Music with the 34th district democrats! I'll be playing at this fundraiser! 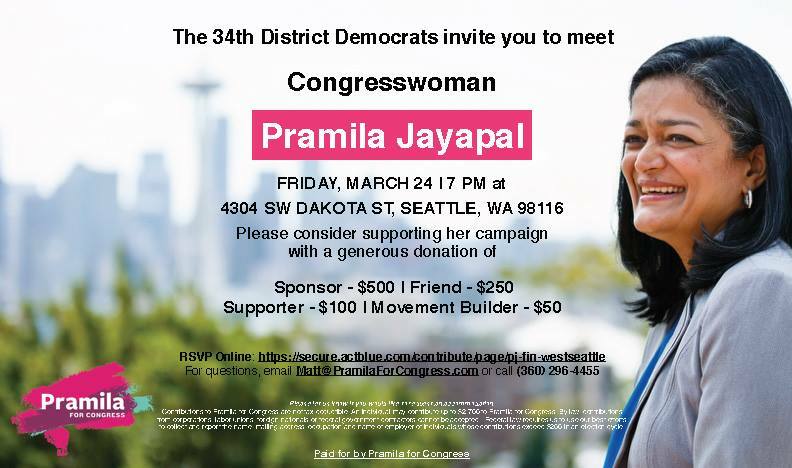 Come meet your Congresswoman! 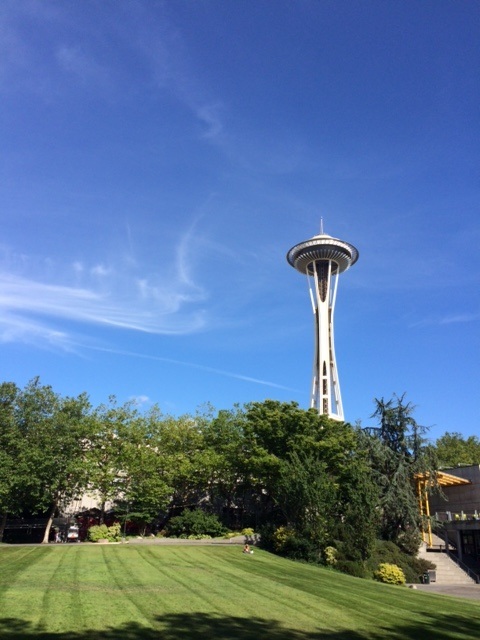 Two Shows in Seattle, and New Music Coming up! ​It was good to play a solo show again this weekend, and even better to collaborate with a great friend. Shortly after we'd settled into our new apartment here in Queen Anne, Seattle, I packed up the dulcimer and headed down to Rainier, OR for a weekend of fun, friends, and dulcimer music known as the Kindred Gathering. 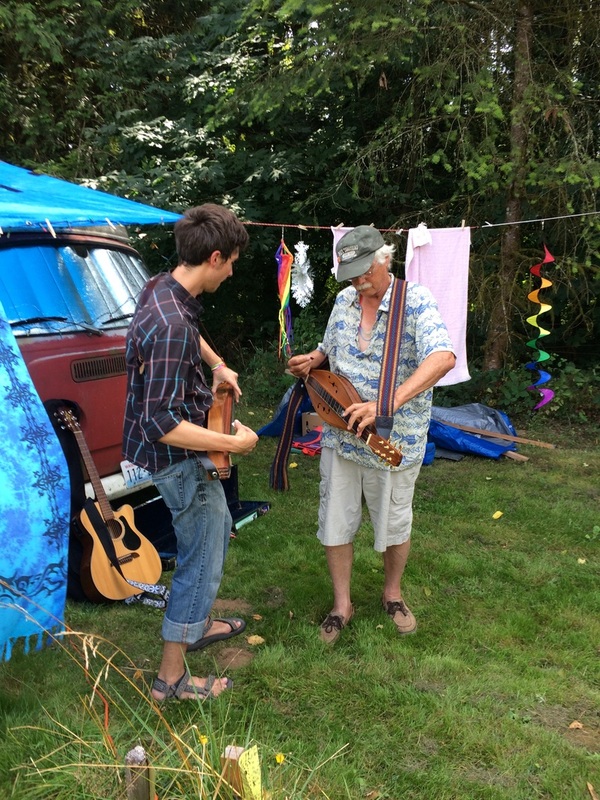 I was so impressed by the love and kindness that I was welcomed with to my new dulcimer community. I'm so happy to have met so many wonderful and inspiring people and musicians. Thank you for a great weekend of music! I hope there are many more to come! Here I am playing with Robert Force, a huge inspiration for the music I play. It was an incredible experience meeting him, hearing his stories, and playing his songs with him, some of which I've known for a long long time. Thanks Robert! my demo, "Solid Ground" available to stream and download!!! I'll be hitting the road with some new music this Summer on a great big tour/field trip across America, and I need your help. I'm booking shows and looking for open mics, house concerts, jam sessions, and other opportunities to showcase my music and the mountain dulcimer along the way. I'd love to hear from you if you (or someone you know) have any recommendations of where I can play! 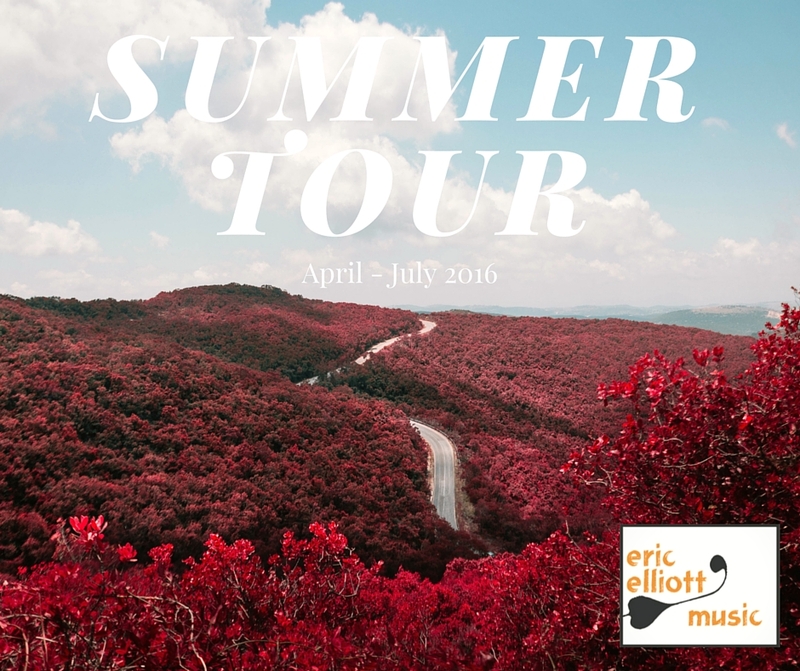 So, I hope to see you on the road this Summer--and thanks so much for your support! Thanks to Everybody at the Colorado Dulcimer Festival! I had a fantastic time meeting and playing with so many talented musicians. Thank you everyone who made it all possible! Saturday Night at the 13th Annual Colorado Dulcimer Festival. 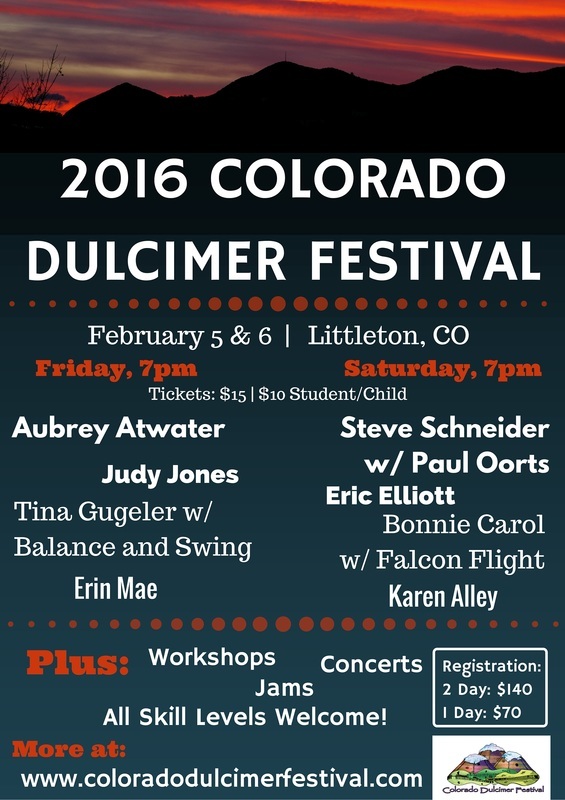 13th Annual Colorado Dulcimer Festival! ​I return to the laughing goat! This Friday, 8:00! Hello everybody, I've got a few announcements for ya! 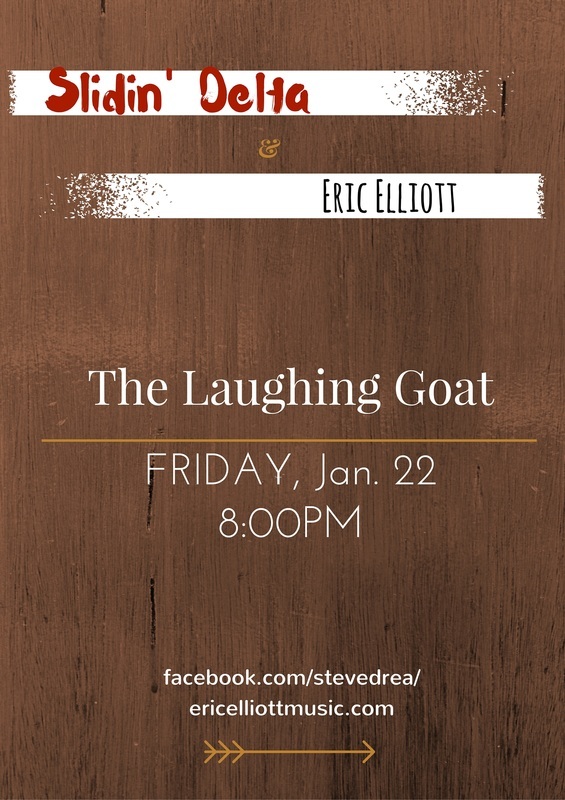 First, I've got a show at The Laughing Goat Coffeehouse on Friday, January 22nd. 8:00PM, with Slidin' Delta, a great blues act. More details (and shows) TBA! I'm starting a new music project! Call it a New Year's resolution of mine. It will be a short EP of original pop songs featuring the mountain dulcimer. Many, many more details to come, I just had to say it. 'Till next time, thanks! Acoustic Christmas music this Sunday! 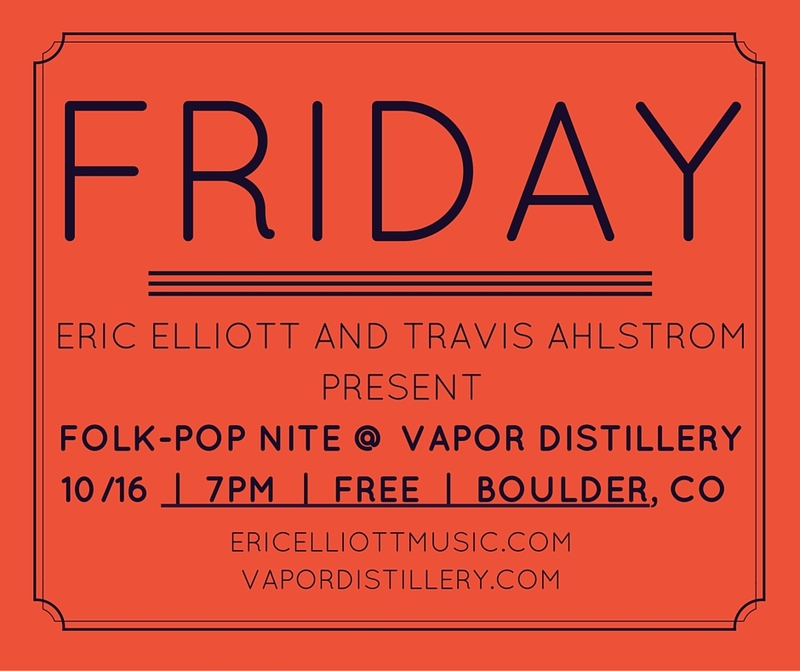 Join me at Vapor Distillery this Wednesday for the 1-year-anniversary Boulder Singer/Songwriter in the Round! 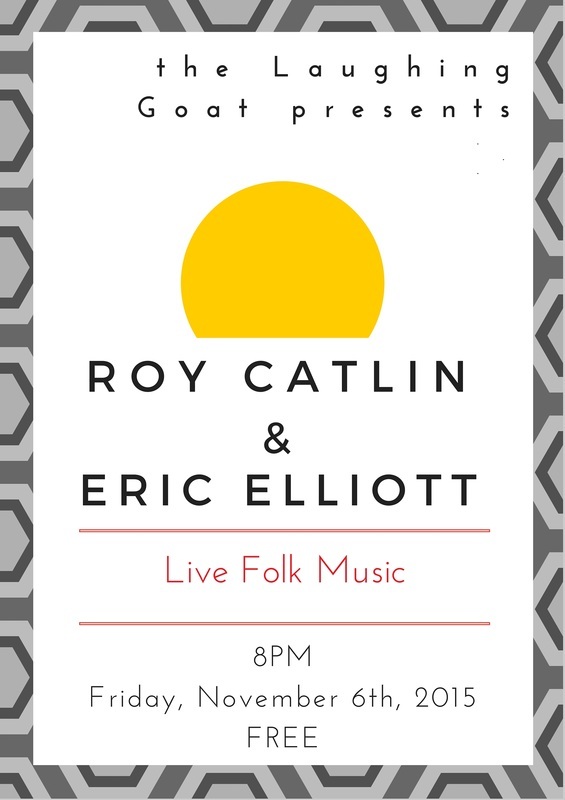 The location has changed for the next folk-pop Nite!!! it will NOT be at Vapor Distillery, as usual, but at the outback Saloon Next Thursday 11/19 at 9:00PM. 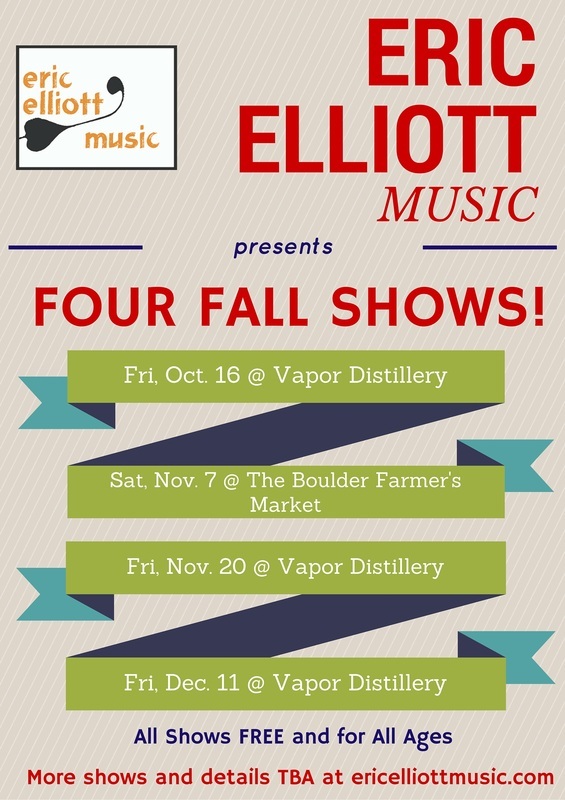 Upcoming Shows in Boulder, Colorado! 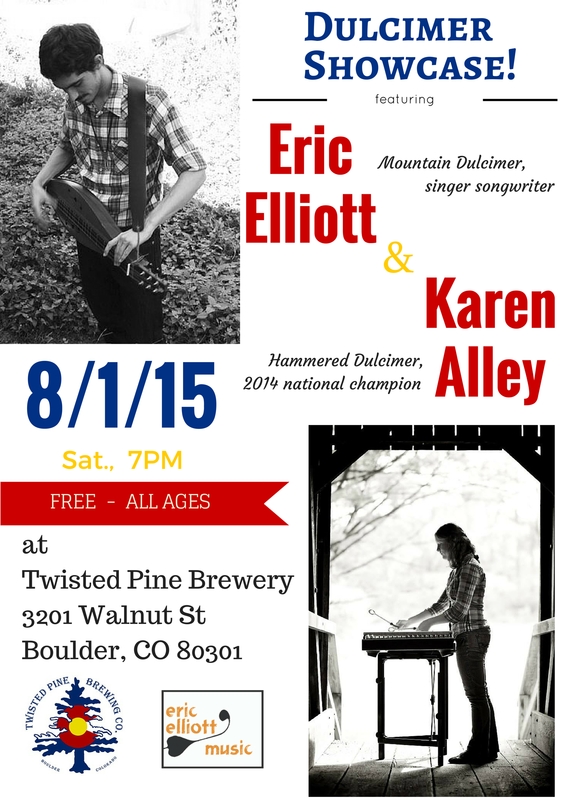 Karen Alley (hammered dulcimer) and I will be playing at my very favorite brewery here in Boulder this weekend! 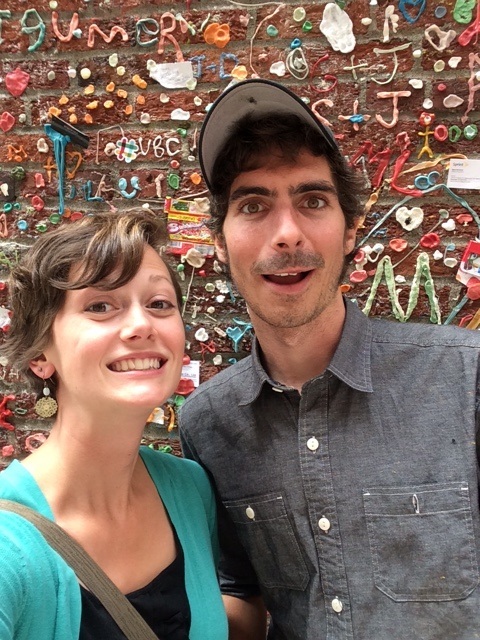 I'm super excited to share the stage with such a talented musician--I've never played with a hammered dulcimer player before but her music is awesome, check it out below! I'm very happy that we get the chance to bring a new sound to each other's music, and hopefully this isn't the only time we'll get to collaborate. So, it promises to be a very fun night, and I'm really looking forwards to it! 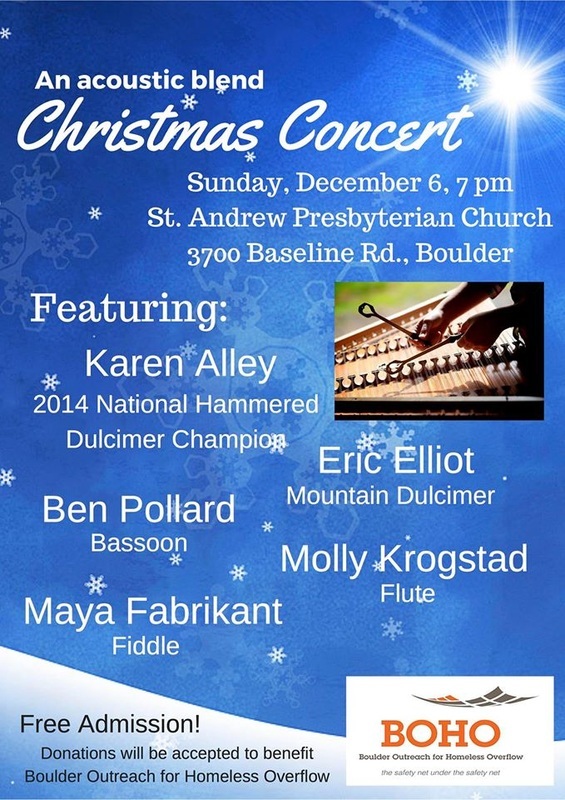 Dulcimer Showcase! "Under the Devil's Thumb" featured in the news! I played a few songs inspired by Boulder's Open Space and Mountain Parks at the opening of the OSMP art show! Check out this inside look at the art show--featuring my song, "Under the Devil's Thumb" off of Dots and Lines. Woo! Inside Boulder News - OSMP Art Show from City of Boulder on Vimeo. Please come and see me this summer! 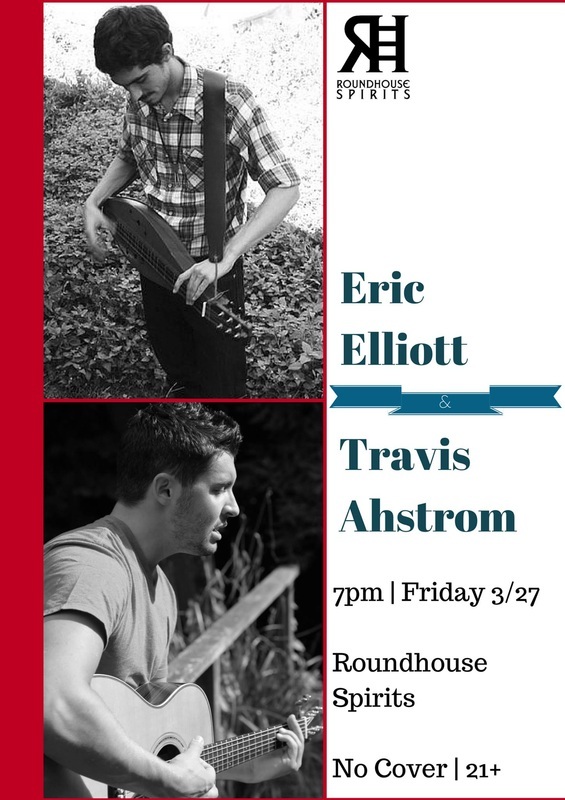 I'm proud to announce an acoustic folk-pop show at Roundhouse Spirits here in Boulder, CO! This Friday, May 27th, 7pm. 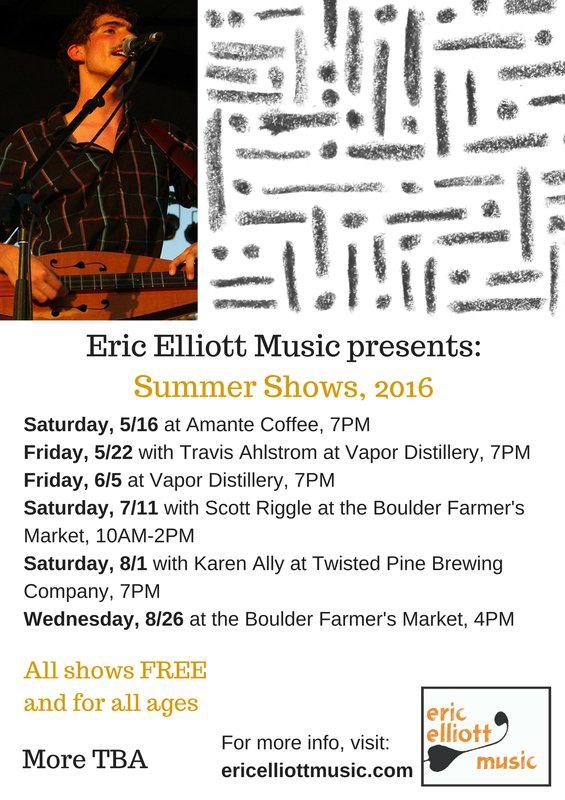 I'll be sharing the mic with the uber-talented Boulder singer-songwriter and guitarist Travis Ahlstrom. 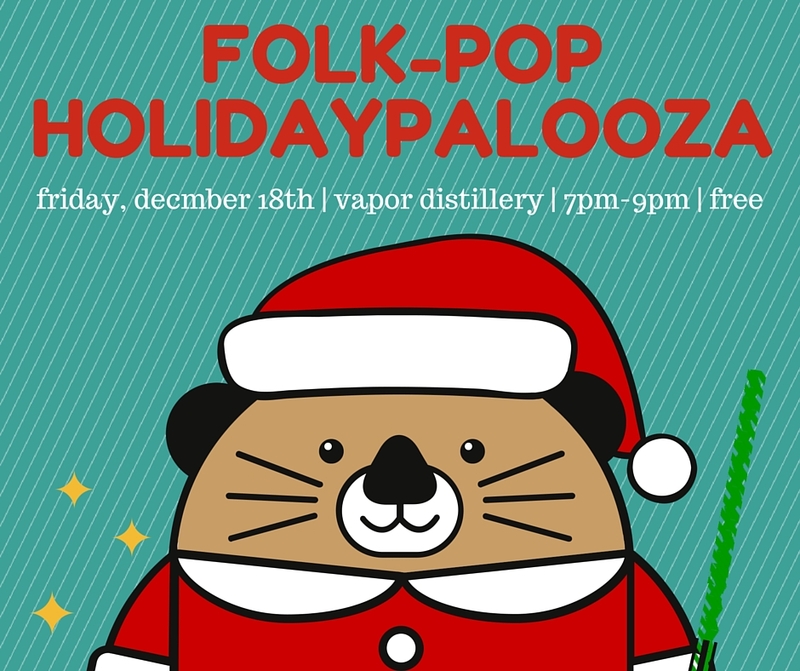 The songs will be sweet, and the drinks will be strong, hope to see you there! More details on the poster below. Then, I've got a whole line-up of shows to announce for later this summer. Can't wait to share them with you! February 6th-7th, 2015. 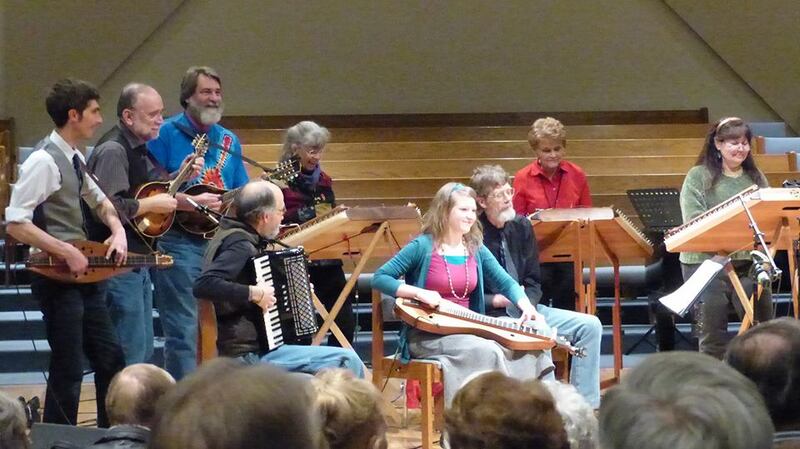 I had such a great time at the Colorado Dulcimer Festival in Littleton, CO this weekend! Thank you so much to everybody who made me feel welcome and supported me in my first festival teaching experience. I hope to see all of you again next year, if not sooner! Full house at the Saturday concert wrapping up the Colorado Dulcimer Festival. Wednesday, January 7th, 2015. Got to share the stage with some great singer-songwriters! 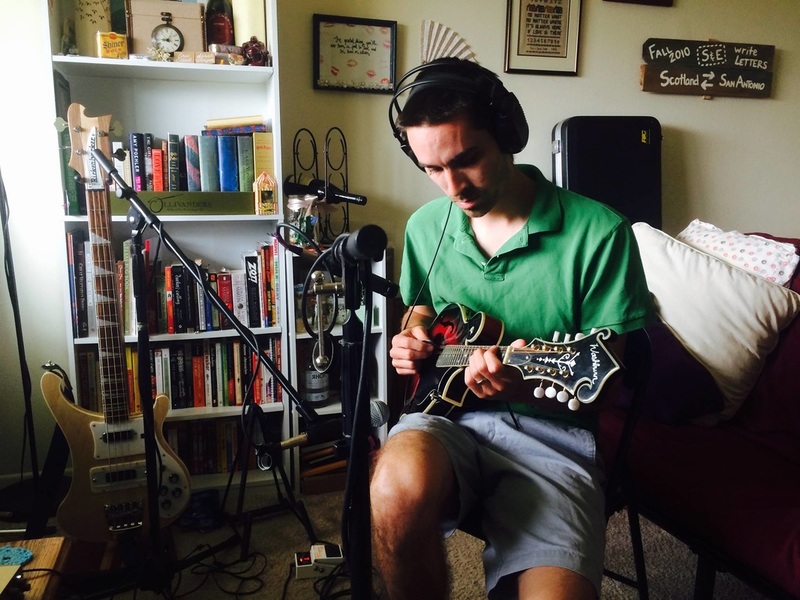 my new Folk-pop DUlcimer Album, "Dots and Lines" is Now available online! Click the link below to listen/download. Hope you enjoy it! The Official Music Video for the song "Monday" off my upcoming Folk-pop Dulcimer album, "Dots and lines"